Are you living in Tadley, Baughurst, Bramley, Charter Alley, Hannington, Heath End, Little London, Ibworth, Monk Sherborne, North Oakley, Pamber End, Pamber Green, Pamber Heath, Ramsdell, Upper Wootton, Wolverton, Monk Sherborne, North Oakley, Pamber End, Pamber Green, Pamber Heath, Ramsdell, Upper Wootton, Wolverton . Tadley A2B are fully licensed by the Environmental Agency Licence No CB-JE5038JJ to carry household waste from all house clearances. It is a legal requirement and would result in a personal fine and also the company working for you if no license is held. 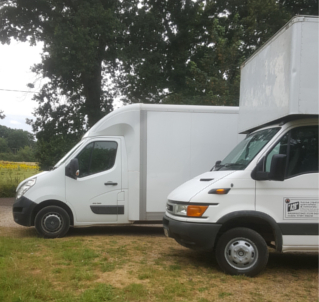 A2b Tadley a sister company of A2Bmoves we are a friendly medium sized business based in Tadley North West of Hampshire close to Basingstoke formed in 1999 with thirty years’ experience in the transport business. We provide a fast, courteous and reliable service throughout the region, Competitive pricing and flexible scheduling to suite your needs.